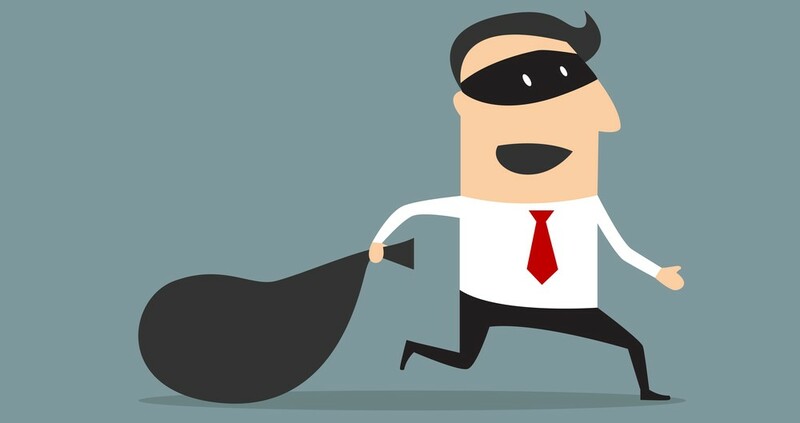 What should employers do if they suspect theft at work? You must not jump to conclusions about someone’s guilt – however strong your suspicions are. Carry out a reasonable investigation. What is reasonable will depend upon the nature of the allegations and, generally, the more serious these are, the more you will be expected to do. You don’t have to leave “no stone unturned” – just act reasonably. The investigation must be fair and even handed. This means that the investigator should look for evidence that points to the employee’s guilt as well as that which points to his innocence. 2 Do you need to suspend the suspect? As a rule of thumb, you should only suspend an employee if it is necessary to do so. This will usually only arise where you suspect the employee of serious misconduct and you believe that the employee may tamper with evidence, put pressure on witnesses or even continue to steal from you. Suspending someone is a serious step and you must have a good legal reason for taking it. It should not be an automatic “knee jerk” reaction to allegations of misconduct. If you suspend someone without a good legal reason, it is likely to damage the relationship of trust and confidence and may entitle to the employee to resign and claim constructive unfair dismissal. 3 Do we have to pay an employee if s/he is suspended? Yes, unless you have a contractual right to suspend without pay. However, it is very rare. 4 Can witnesses remain anonymous? The investigator should find out why the witnesses wish to remain anonymous and, if possible, try and resolve any concerns they have. The Acas guide on investigations recommends you avoid anonymising witness statements unless absolutely necessary as this can disadvantage the employee and mean that s/he cannot effectively challenge the evidence. Generally, unless the witness has a genuine fear of reprisals, the investigator should not agree to anonymise their statement. 5 Should the investigator recommend dismissal? No. The role of the investigator is to consider the allegations against the employee and to determine whether, on the evidence, they are likely to be proven. They should not suggest dismissal or prejudge what the outcome of a disciplinary hearing should be. If you decide (after the investigation) that there are grounds for the employee to answer, you should invite them to attend a disciplinary hearing. You must set out the allegations in writing and provide sufficient information about the evidence you have to enable the employee to prepare. Evidence could include any written statements you have taken, CCTV footage. You must also warn them that they may be dismissed and that a colleague (or trade union member) can accompany them to the hearing. The purpose of the meeting is to establish the facts, not to catch people out. You should give the employee the chance to give you their side of the story and consider this before reaching a decision. You must confirm the decision in writing and offer the employee the right to appeal. 7 How much proof do we need? The decisions you reach must be based on a balance of probabilities. This means that you must be at least 51% sure that the employee is guilty of the offence they are accused of. The higher burden of proof in criminal cases (beyond reasonable doubt) does not apply to civil cases. 8 Can we dismiss for theft even if this is their first offence? Normally, employers are expected to issue at least one warning before dismissing a member of staff for a first offence – however, theft is generally treated as gross misconduct. There are alternatives to dismissal. They may admit their guilt and have genuine (albeit misguided reasons) why they have done so and in such circumstances you may decide to issue a final written warning instead. Theft normally destroys the relationship of trust between the parties and dismissal is often an appropriate response. 9 Do we have to pay the employee notice pay? No. If you dismiss the employee for gross misconduct, their dismissal is effective from the date you communicate your decision to them and you do not have to give them notice or make a payment in lieu of notice. 10 Can we deduct the amount the employee has stolen from their final pay? No – unless you have a contractual right to do so which is set out in the employment contract. This is because employees are protected from having deductions taken from their pay and can bring a claim against you to recover any amount due. You may be able to recover the money by making a claim in the civil courts. You could also involve the police. You could consider introducing tighter security measures to prevent further instances of theft. Be aware though that installing covert surveillance cameras could be in breach data protection laws. If you are considering installing cameras, take legal advice first.